Effortless and fun is always a great feeling. 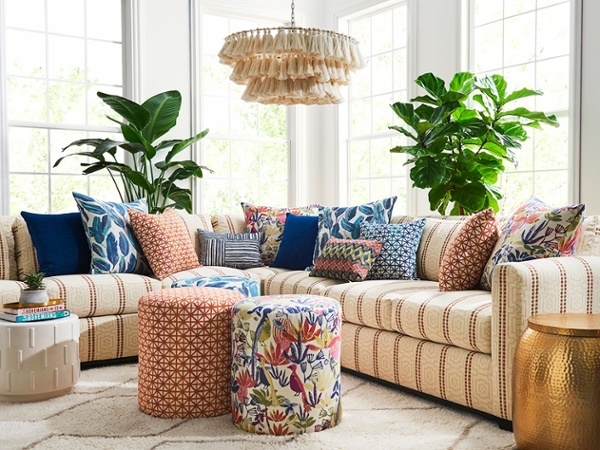 There’s more than meets the eye to this simple room that’s seemingly tossed together with ease— a lot of creativity, skill and practice to coordinate the upholstery, the pillow sizes and textures, the fabrics. As I finish a custom office in Los Angeles that has been exacting down to the last nailhead finish on a bench, I can tell you that all that’s effortless is a great big collaboration of talents and people and coordination and creativity. That said: it is easy or at the least moving forward gracefully, at it’s very best. And, if it’s not easy or graceful, something is off. When I’m trying too hard to make something happen, it’s my greatest red flag that something needs to change. Early in the design of this design adventure, I found myself working with someone that was not aligned with the project. I didn’t realize it at first… and then, I started scrambling. Too many emails to follow up, too much confusion, too much “hoping” things would work out, too much praying it would all be OK and working extra-hard to make it happen. When it became a situation of all stress, I knew it was all way off base and doomed. Moving on to work with others who were more aligned was the instant fix. From there it’s been ease, flow and grace. If I kept on trying too hard, I would be telling you about a disaster of feng shui’d interior design. Moving to a new way, where things were returned to flow, means that I can show you a radical office makeover in the next month! Flow is where the magic happens. 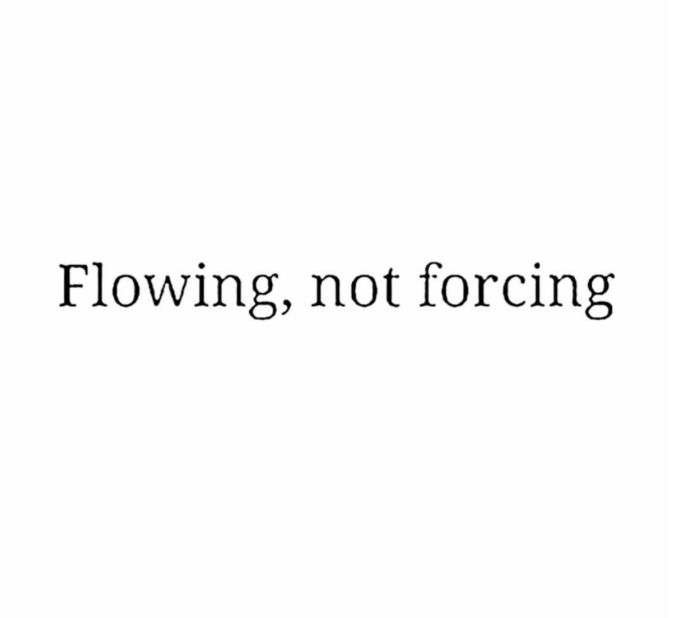 And if there’s no flow right now in your life in some way, here’s a bit about restoring that flow and all the welcoming and magnetic energy it brings!!! When its not moving in the right direction, whatever it is… I WANT TO MAKE IT HAPPEN. Sometimes I really “NEED” it to happen. And, if you’ve ever felt any of the above, you know that these thoughts come along with them a jolt of all kinds of adrenaline, possibly some tension, often a spun-out feeling of chaos and sometimes the rush of emotions that couples all action with a feeling of things like despair. Don’t second guess, agonize or analyze. Instead, take a break. Relax. Meditate for a few minutes. Make a tea. Walk. Walk away, really. Even binge watch Netflix if that’s the thing that will calm your mind and take it off the stress of it all. Come back to it fresh. Fresh mind, open heart and fully relaxed. Do you have to reorganize? Change something? Start over? Take a longer break? You’ll know much more when you feel that ease settle in. You’ll also see opportunities and signs and signals popping up in this more receptive state. I know it can be counterintuitive if you are like me and grew very addicted to the stress that you simultaneously want to avoid! Dare to do it any way, even just once to see what happens! Let go of the impulse to force your way through and see if there’s an easier way, a more inspired path or a for waiting for you that’s wide open. This is so simple, and it’s really life changing in my experience, in every way. Jim Carrey Explains How To Design Your Dream Life…Brilliantly! Previous post: 20 Simple Sustainable Ways I’ve Adopted A Low-Waste Lifestyle! Next post: Sustainable Fashion Strategies Can Update Your Style And Your Energetic Magnetism!